Dying to finally achieve success with your music? Lost about how to promote your creations? Why do most musicians struggle? Even the really talented ones? The “road to success” seems very crowded with people fighting over limited opportunities. Are you ready to discover a better avenue to success? 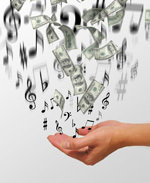 The Multiple Streams of Music Income Self-Study Program will illuminate your path! This program is not just a marketing concept; this is a complete and comprehensive business system that will help you to achieve long-term success. So many artists are wondering – how do I succeed in the wild, wild west of the New Music Business? The artists who are following the Multiple Streams system already know! Debra started using the Multiple Streams concept in her own business in 2004. She teaches this program at events around the world. In the 6+ years since Debra introduced the Multiple Streams business model to her clients and Artist’s Marketing & Business Academy Members, her clients have used it with great success. Create your business based on relationships, relationships that will help you have a successful career in music. Finally have time for your music and still make a living. Create opportunities based on action not luck. Finally get the satisfaction you desire by having people fall in love with your music. 1. You can NEVER actually sell anything to anyone. If someone doesn’t want or need what you are offering, no amount of convincing is going to change their minds. This is especially true in the music industry where the competition is fierce. Are you ready to stop “selling”? 2. People choose to buy from people they know, like and trust. Think about it for a minute: Are you more likely to buy a new instrument from someone you know or someone you just met? Wouldn’t you rather shop at a store or website you’re already familiar with? People choose to buy and they choose who to buy from… and if they don’t know you, like you and trust you, they won’t buy from you. The music industry has always been built around who you know. But in the New Music Industry, all the rules have changed – except that one. In the New Music Industry, the fans expect to know you. They expect to have access to you. So, how do you craft your message so that they feel like you are talking to them (without it taking over every second of your life)? The Multiple Streams of Music Income Business model will show you how to develop those fan relationships so that you can count on making a great living doing what you really want to do. How to use today’s technology to massively increase your audience and your reach. How to make the connections that will take your career to the next level. How to find fans who will buy from you for years to come, lifetime fans that you can count on for a steady income. As you work through each Chapter, you will take concrete specific action to build your Multiple Streams of Music Business and by the end of the Program – you will have a fully functioning Multiple Streams of Music Career! “If I didn’t make a dime, I would still make the music. But when I actually receive something in return for my art, then perhaps that’s acceptance. And we all want that. Multiple Streams of Music Income makes my life’s work seem worthwhile, because I can think of multiple opportunities to be “accepted.” And I do so automatically. Do you want to make a living making music? If you do, then you need to take this training course and get started on your personal journey of success. This program only costs $129. Less than one month’s rent. Less than a few hours in a studio. Less than an hour of a good producer’s time. Probably less than you spent on your phone. The difference is, this $129 investment will prepare you for a lifetime of awesome success doing what you love. 3 or more Videos in each Chapter explaining each step in detail. A workbook with step-by-step instructions and resources for each stage of building your Multiple Stream Business. A list of specific action steps for you to take to build your business. Mp3 versions of those videos, so you can listen and learn even when you can’t get online. Lifetime access to the all of these materials, so you can work at your own pace. Start Building Your Multiple Streams of Music Business Today! Thank you for your interest. This content is visible to ArtistsMBA Foundation, Professional, Mastery, PrivateClient Program members only. Click here to login. Tired of Struggling to Succeed? © Artist's Edge / Debra Russell. All rights reserved.